Established in 1905, Waller comprises more than 230 attorneys in Austin, Birmingham, Chattanooga, Memphis andNashville. 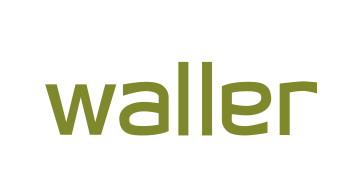 With 30 years of experience, Waller’s payments team specializes in mergers and acquisitions, disputes and litigation, commercial agreements, and regulatory counsel. Our team represents the following types of clients: private equity and venture capital investors; commercial lenders; payment network members, including acquiring and issuing banks; acquiring and ATM processors and ISOs; payments technology providers; fully-integrated providers of electronic transaction authorization, processing, settlement, and funds transfer services; purchasers of residual streams and merchant portfolios; payment gateways; prepaid and stored value card program managers; national merchants; providers of electronic payment options to governmental and not-for-profit entities; providers of information services and payment technology to healthcare providers; and merchant and ISO advance companies. We are able to handle a variety of matters, including parties considering the sale of their industry businesses; payments industry participants facing disputes; and government investigations and compliance challenges, among others. Visit us at Kiosk K10.